China won’t take “foreign garbage” from next year. China imports more of the world’s used plastics than any other country — more than 7.3 million tonnes — from nations including the UK, the US, and Japan. But that is all set to change from next year. The ban would force the UK to find another way to recycle its used plastic, or risk it ending up in a landfill or the ocean. “A chronic shortage of capacity to recycle plastics in the UK collides with the near-total closure of the world’s biggest market for waste household plastics,” read the report. Britain currently sends around two-thirds of its used plastic to China — more than 2.7 million tonnes of plastic waste to China and Hong Kong since 2012, according to analysis by Greenpeace. Once in China, the plastics are melted down and turned into things like children’s toys, electrical appliances, or computers. Although the rules of the ban aren’t yet finalised, they appear to include a total ban on plastics from household recycling, as well as tough quality standards for industrial plastic scrap. 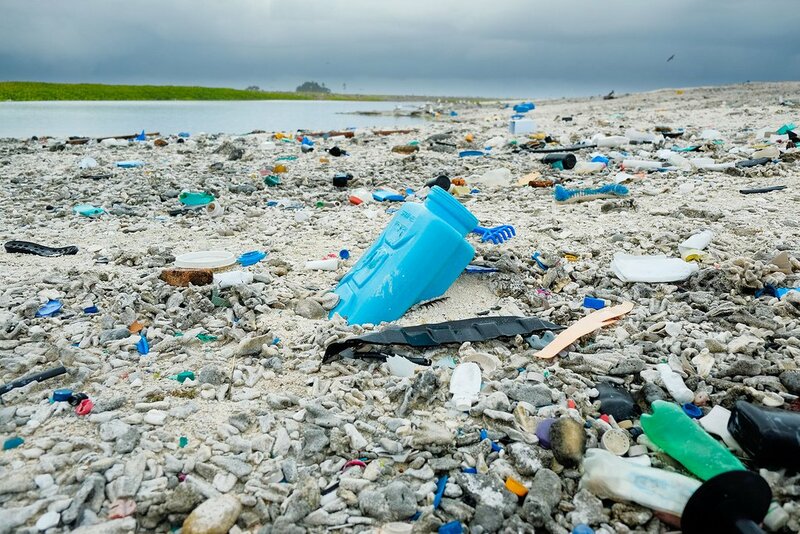 China said it intended to stop importing 24 kinds of solid waste, including polyethylene and terephthalate (Pet) drinks bottles, other plastic bottles and containers, and all mixed paper, reported the Guardian. And an estimated 540,000 tonnes of Britain’s annual plastic waste may now have nowhere to go. 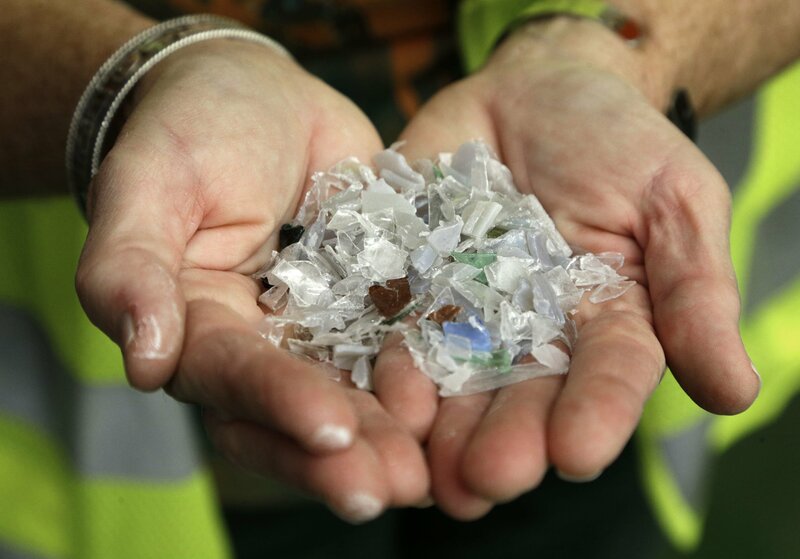 It could have a knock-on effect for local authorities in the UK, experts say, with recycling collections no longer being economically viable if the recycled plastics can’t be sold on. “Budgets are very tight and it’s possible councils who were not already considering tax rises will now be considering that as a result of this,” Lee Marshall, chief executive of the Local Authority Recycling Advisory Committee, told the Telegraph. “I don’t think anybody could hand on heart say some of it might not end up in a landfill site,” he added. While other manufacturing nations like Malaysia and Vietnam will still accept recycled plastics, they can’t make up for the lost Chinese market. But the Chinese ban could present an opportunity for the UK to develop its recycling infrastructure. “If you could get the link in place with UK manufacturers making plastic products, so that it makes business and environmental sense to use the recycled content and at the same time build up the recycling infrastructure in the UK, this is a real opportunity,” said Stuart Foster, CEO of recycling charity Recoup. According to EU targets, the UK must recycle at least half of all household waste by 2020 — it currently recycles 43%. Just last month, the Marine Conservation Society’s (MCS) annual beach clean,showed that the amount of litter washing up on Britain’s beaches has risen by 10% in the past year alone. Some 20% of the litter was from “on-the-go” food and drink packaging, including cups, cutlery, plastic bottles, coffee stirrers, and sandwich packets. Greenpeace is calling for a nationwide deposit return scheme — which would see consumers charged a small amount extra when purchasing a bottle, which is then paid back to them when they return it — to be introduced, and for corporations to work harder to reduce the amount of single-use plastic being produced. Global Citizen campaigns to achieve the UN’s Global Goals, including for life under water, and sustainable cities and communities. You can join us by taking action here.